Lamptron 30W - 6 Channel Aluminum Rheobus w/ Multi Color Backlit LED - Version 3 - Black (FC-5V3) w/ Brighter Display! 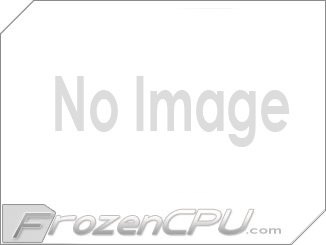 - FrozenCPU.com Lamptron 30W - 6 Channel Aluminum Rheobus w/ Multi Color Backlit LED - Version 3 - Black (FC-5V3) w/ Brighter Display! 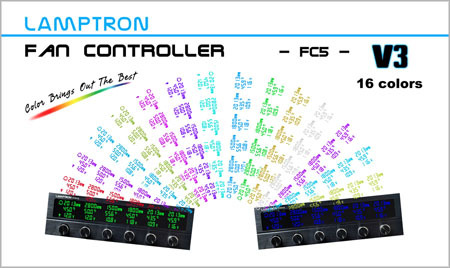 The Lamptron FC5V3 fan controller is not only a revision of the FC5V2 but it is a real step forward in the evolution of these kind of products. This fan controller is positioned to become the new reference point in the cooling domain. In fact, the Lamptron FC5V3 has 6 channels and can handle up to 30 W per channel. The new wide LCD display shows all the information (RPM, temperature and voltage) for every channel. Moreover, the display allows a new level of customization providing 16 different colors for the illumination of the LCD display. The FC5V3 integrates all the commands directly on the front of the fan controller for an enhanced and quicker access to all the functions. Moreover, the FC5V3 provides an initial 12 V (startboost) on all the channels in order to make the fans work even if set at the minimum working voltage. 1 and up $75.99 ea.